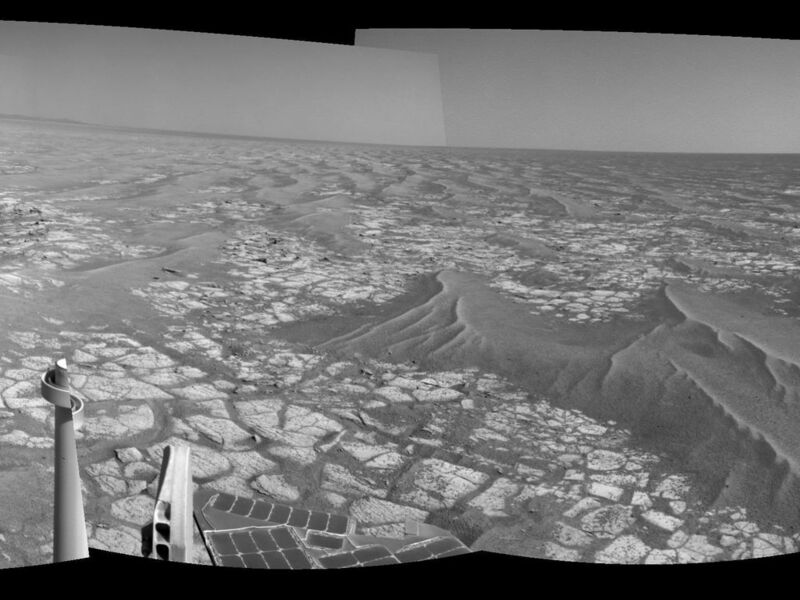 This mosaic of images from the navigation camera on NASA's Mars Exploration Rover Opportunity shows surroundings of the rover's location following an 81-meter (266-foot) drive during the 2,363rd Martian day, or sol, of Opportunity's mission on Mars (Sept. 16, 2010). 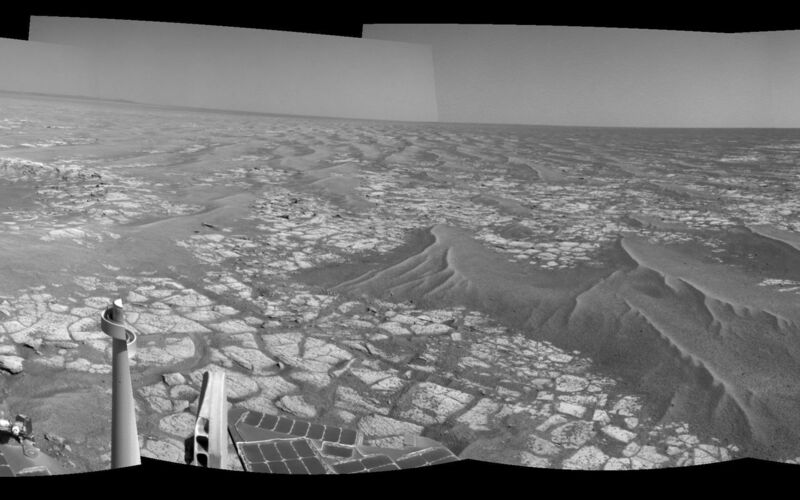 The camera took the component images for this 360-degree panorama during sols 2363 to 2365. 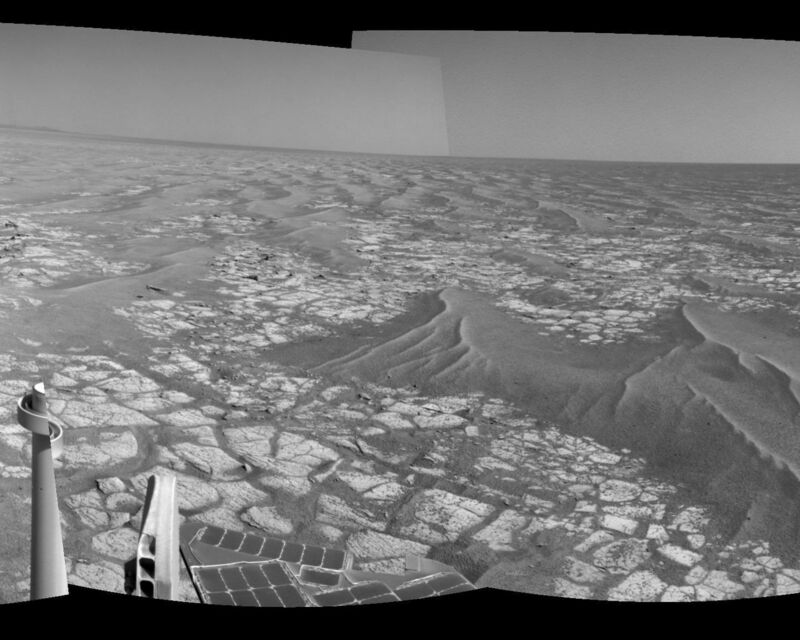 The terrain includes light-toned bedrock and darker ripples of wind-blown sand. For scale, the distance between the parallel wheel tracks in the right half of the image is about 1 meter (about 40 inches). This view is presented as a cylindrical projection.